The twelfth annual IEEE SECON conference will provide a unique forum to exchange innovative research ideas, recent results, and share experiences among researchers and practitioners in the field of sensing and communication in wireless networks. The focus of SECON is novel communication technologies and emerging applications and services, involving mobile sensing and communication, cyber-physical systems, and ubiquitous and pervasive computing. 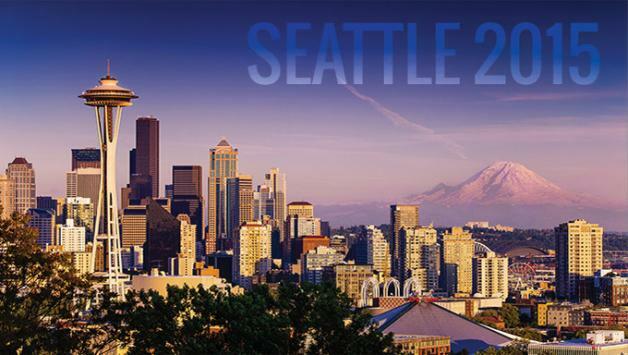 SECON 2015 will be held on June 22-25, 2015, at the EdgeWater Hotel, 2411 Alaskan Way, Seattle, WA 98121. SECON 2015 will feature a panel session exploring Security and Privacy concerns in deployment of IoT. The conference program is now available here. This year's keynote speakers will be Dr. Mani Srivastave from UCLA and Dr. Ramesh Govindan from USC. We are pleased to announce the availability of student travel grants sponsored by the IEEE Communications Society and the US National Science Foundation (NSF). Conference registration is now open. Early registration deadline is June 01, 2015. The executive committee of IEEE SECON 2015 invites your company to join other industry leaders to be a patron of our conference. More information can be found here. This year SECON will feature 2 exciting workshops, FoG Networking for 5G and IoT and Smart Wireless Access Networks for Smart cITY (SWANSITY). Find more details by clicking the workshop link here. You can now submit your posters (http://edas.info/N20199) and demos (http://edas.info/N20197). Call for Posters/Demos can be found here. Abstract registration deadline for SECON 2015 has been extended to 4pm PST on December 12, 2014. SECON 2015 will be held on June 22-25 at the EdgeWater Hotel, 2411 Alaskan Way, Seattle, WA 98121. The Call for Workshop Proposals is now open. The workshop organizers should send their workshop proposals to the workshop co-chairs by December 31, 2014. Notification of workshop acceptance will be on January 15, 2015. The Call for Papers is open, you can submit your papers on edas. Technical Program Committee 2015 is comprised of 11 group leaders and 77 members. You can see the TPC list here. IEEE SECON CFP is issued on October 7, 2014.